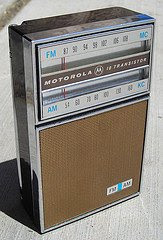 Coming into the weekend with a significant day in baby boomer history, the birth of the transistor radio in 1955. Our streets, beaches and backyards would never be the same after rock and roll went mobile. The sound was glorious mono, with those earphones, as opposed to headphones.